Ronald Kelly, left, stands in line for free ice in Liberty City with his friend Armen Bowlers. 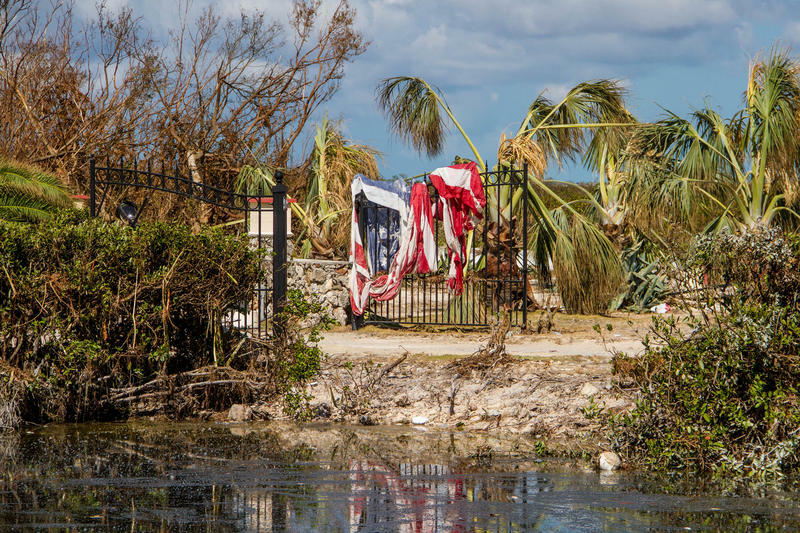 Days after Hurricane Irma battered South Florida, Rufus James walked through his Liberty City neighborhood in Miami looking for paid work to chop down trees and clean up yards. Like many Floridians, James, 57, was going on day four with no electricity. At home, he had three grandchildren to feed. They’re eating “cornflakes and whatever we can come up with. I’m looking for some food,” he said. Before the storm, James said he worked odd jobs — helping elderly neighbors mow their lawns or move heavy items. Post storm, no one was paying for help yet. On the surface, Hurricane Irma seemed to spare most of South Florida the brunt of the storm when it comes to structural damage. But days without power and unpaid time off — or no work at all — casts a harsh spotlight on the poverty that existed in Miami-Dade’s most vulnerable communities long before Irma made landfall. While some grassroots efforts are trying to bring food to poorer communities after the storm, it does not get to everyone who needs it, and some families report they’re going hungry. “We don’t have no food,” James said. He’s hoping to land a few $10 or $20 neighborhood jobs, so he can afford some groceries from neighborhood stores that are taking cash only. In some areas, residents who receive food benefit cards under the Supplemental Nutrition Assistance Program (SNAP) can’t use their debit-like cards because without full power the credit card systems aren’t functioning. It’s forced some families to look for food wherever they can. When Tameka Ellington, 32, heard police officers driving around her Little Haiti neighborhood announcing that free ice would be handed out at Charles Hadley Park in Liberty City, she quickly headed over. She only had a quarter tank of gas, but she reasoned the trip would be worth the drive a few blocks west from her home. She hoped to put some lunch meat on ice before it goes bad. 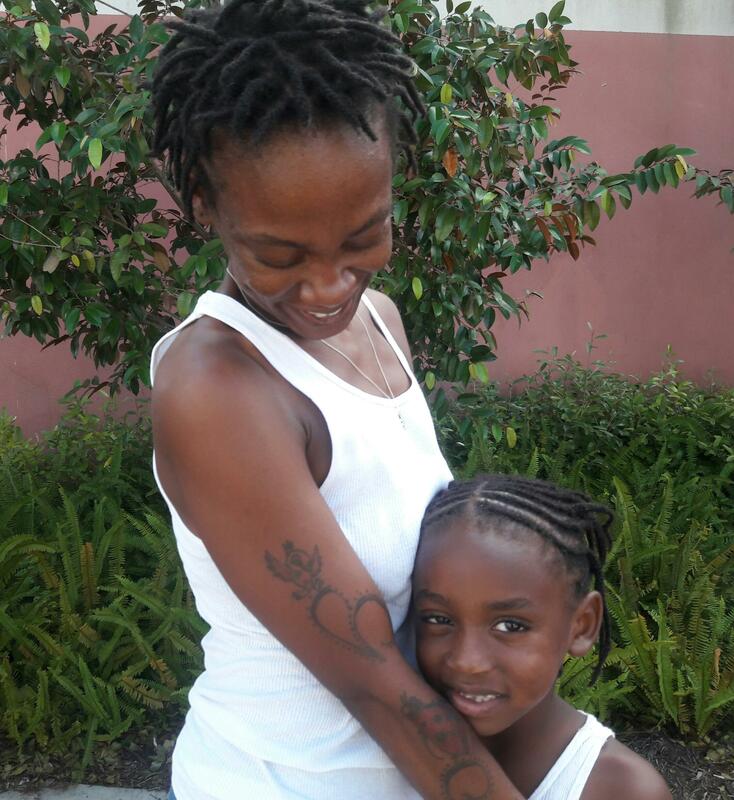 Tameka Ellington waited in line for free ice in Liberty City with her 5-year-old son. She was hoping food would also be offered since she's running low at home. Ellington stood in line with her 5-year-old son. She thought they’d also offer canned goods or bread. After waiting for almost two hours in line, each family was handed one bag of ice, courtesy of the City of Miami. There was no food. 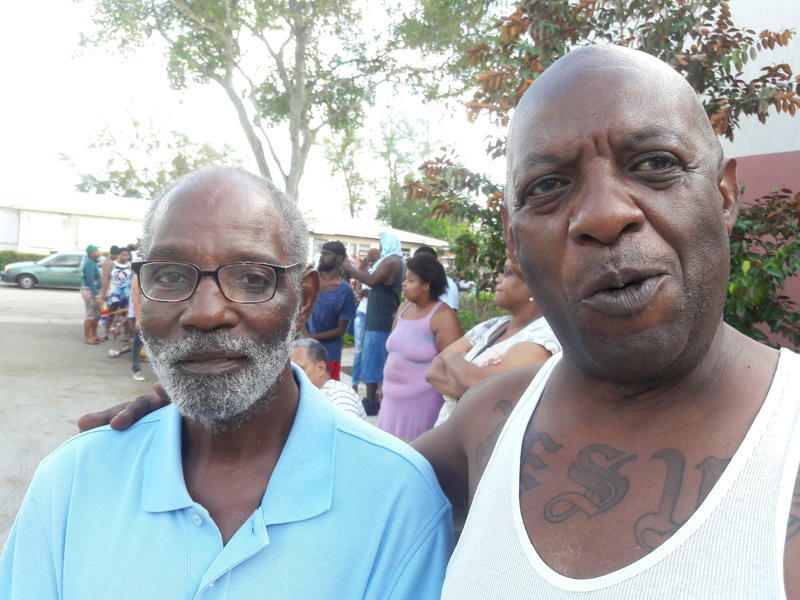 Miami Commissioner Keon Hardemon, who grew up in Liberty City, helped pass out the ice and the next day held a community bar-b-que at the same park. Hardemon acknowledged handing out ice doesn’t solve the underlying problem of poverty. He said to do that, there needs to be smart policy across a number of systemic issues, including low-wages. A recent Florida International University study found nearly 20 percent of Florida workers earn $10 or less an hour. The study noted while job numbers appear to have improved, many new jobs are low-wage positions that exacerbate income inequality across the state and in places like Miami-Dade. For Ellington, a small cash allowance from the federal housing program known as Section 8 helps pay her light bill. She’s been using some of that money to make sure she and her family eats dinner. She also counts on school breakfasts and lunches for her son. But with Miami-Dade public schools out through the end of the week, she said that much-needed safety net for children is gone. After Hurricane Harvey flooded Houston, the local school district opened nine schools to provide thousands of community meals a day. Breakfast, lunch and dinner. “If school was open, the kids could eat at school,” Ellington said. When power is eventually restored in her Little Haiti neighborhood, she said hers might get cut off for nonpayment if she can’t replace the money she used to survive after the hurricane. 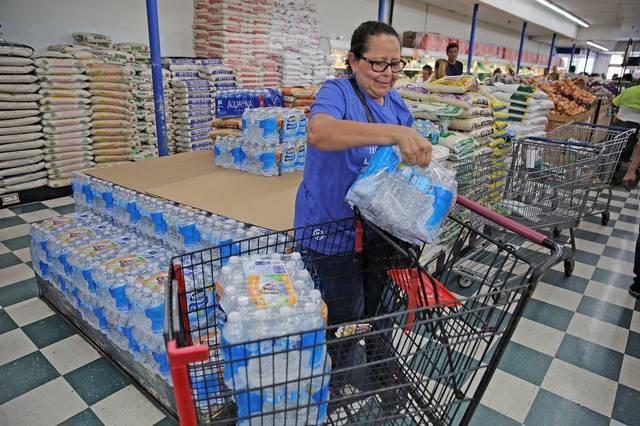 Most of the groceries she purchased before the hurricane warning have gone bad. “My house smells like spoiled raw meat,” she said. Some local grassroots groups and individuals have taken up the call to help families who might need food. “Because it turns out, if food scarcity is a thing before a hurricane in our communities, it’s still a thing after a hurricane,” said Valencia Gunder, a local activist who also runs Make The Homeless Smile, a non-profit in Miami. 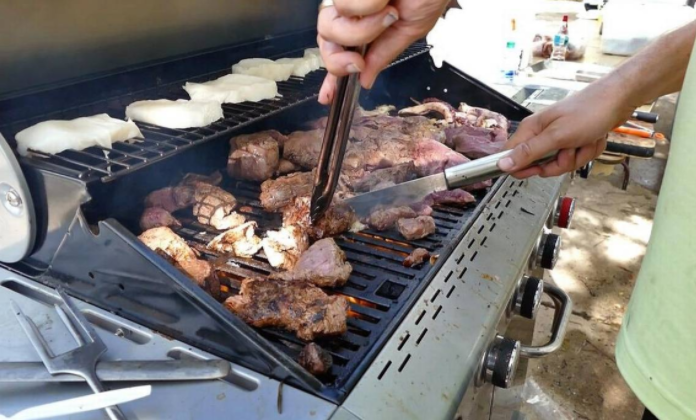 Chilean sea bass, filet mignon, porterhouse steaks, brisket, prime rib, lobster, octopus chateaubriand and more were donated by Villa Azur restaurant in South Beach for a community BBQ in West Coconut Grove. Volunteers from Florida New Majority, a social justice nonprofit, and other organizations have been setting up grills in neighborhoods like Little Haiti, Little Havana and parts of South Miami-Dade. They give out free hot dogs until they run out. On a recent afternoon they set up on the corner of Northwest 18th Avenue and 67th Street. Samuel Robinson rode by on his bicycle. He placed two hot dogs in the plastic bowls he carried with him. In West Coconut Grove, Elizabeth Virrick Park turned into a fancy cookout for nearby neighbors who had been eating Vienna sausages out of the can. After Miami commissioner Ken Russell, who represents the neighborhood, heard about a fine-dining restaurant in South Beach that was going to throw out about $50,000 worth of meats and seafood because of the ongoing power outage from Hurricane Irma, he helped coordinate getting the food to the park. The owner of Villa Azur teamed up with neighbors from the nearby Kingsway Apartments on Charles Terrace, also known as “the projects,” to grill the food. About 400 people showed up to feast on lobster, medallions of filet mignon and Chilean sea bass. “This is the neediest part of my district. It always gets the short end of the stick. So every chance we get, we’re going to help this community,” Russell told the Miami Herald. And further north in Opa-locka, Miami Dade school board member Steve Gallon III set up a simple fold out table to hand out sandwiches and fruit to children. Still, despite some of these pop-up efforts, in the immediate aftermath of Hurricane Irma, the aid to food-insecure communities is far from consistent. 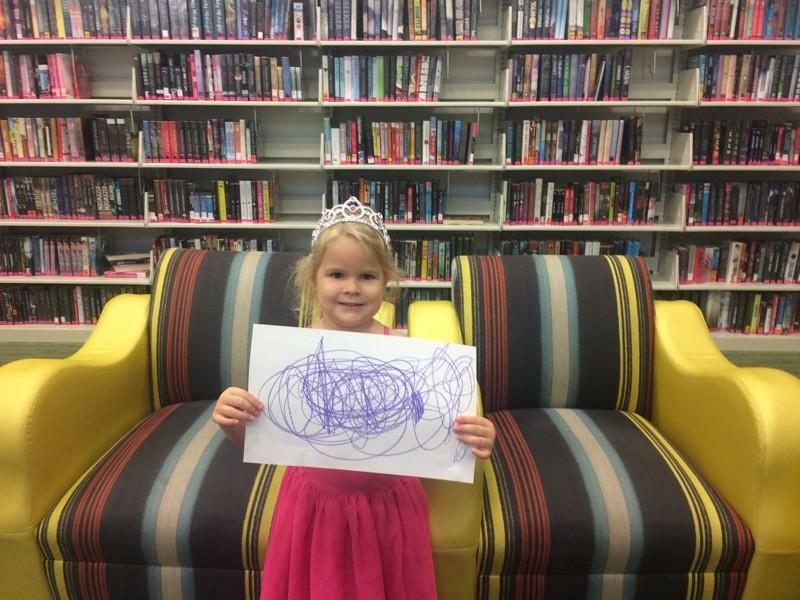 Mary McKenzie has six children, her youngest daughter suffers from epilepsy. McKenzie said after paying $1,600 for rent earlier in the month and buying groceries that have since gone bad because of the power outage, she doesn’t know what to do. She said even if there is no flooding, Hurricane Irma did impact Miami-Dade’s poorest. WLRN News and its partners have reporters on the ground throughout the islands. We will be posting their updates as they come in. The city of Boca Raton suffered “several million dollars” worth of damage to its beaches from Hurricane Irma, Mayor Susan Haynie said Wednesday. “The dunes got crushed,” said Chrissy Gibson, city spokeswoman. In addition, 49 percent of the city remained without power as of noon on Wednesday, Gibson said. The city, like the rest of county, is slated to have its power restored by Sunday, Gibson said. In the interim, the county’s midnight to 6 a.m. curfew will be enforced in the city. Outages in power and internet are forcing many South Florida residents to go "old school" and rely on just the telephone. We have compiled a list of indispensable numbers that you need to have on hand to report problems in the aftermath of Hurricane Irma. The city of Clewiston sits on the south shore of Lake Okeechobee. It’s one of the best places in the country to snag a largemouth bass. 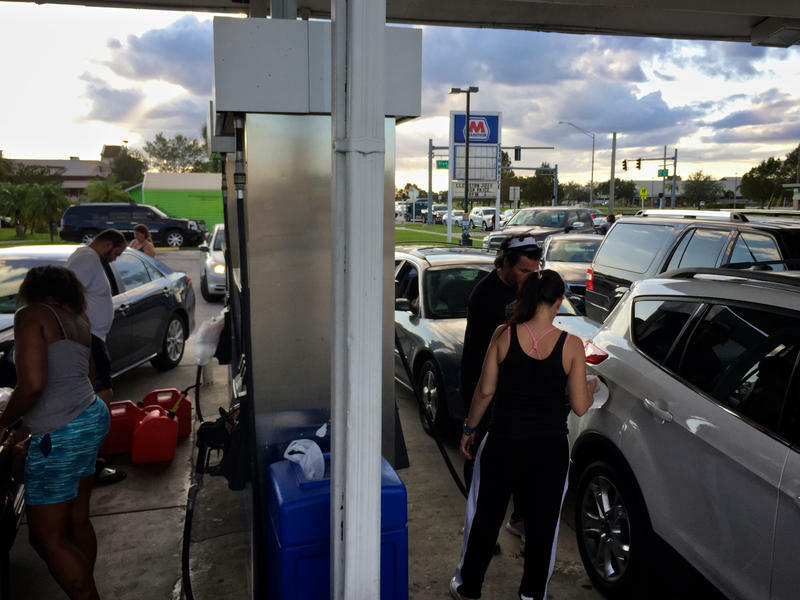 But in the days after Irma, people are flooding Clewiston to fish for something else: gas. As hundreds of thousands of people in South Florida remain without power in the aftermath of Hurricane Irma, many people are figuring out how to proceed. Here are answers to some of the questions you’ve been asking, including ones about where to get ice, where to dispose of debris and how long your refrigerator can stay cool.